While the calendar says 2018, entrants can begin preparing to compete in the 2019 edition of Armory NYC Indoor Marathon Presented by New York Road Runners to take place on April 12-14. 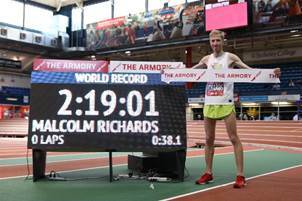 Last March for the third consecutive year both men’s and women’s individual indoor marathon world records were broken in the indoor marathon’s signature World Record Challenge in The Armory’s New Balance Track & Field Center. 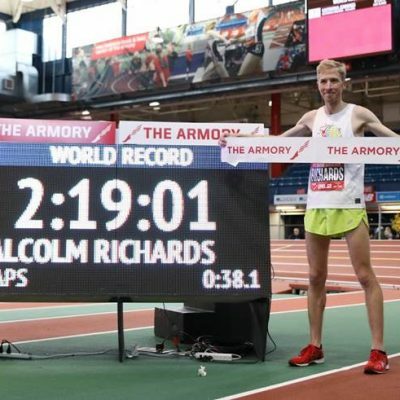 Long-distance running sensation Malcolm Richards, an elementary school teacher in San Francisco, established for the second time in his career a world marathon record at The Armory. 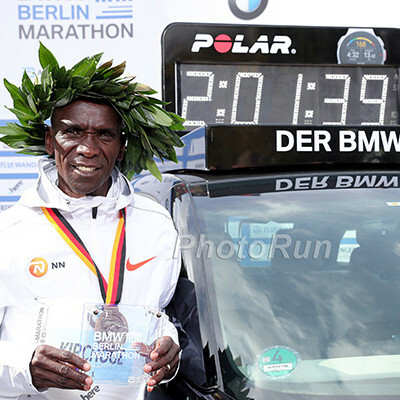 Last March he reclaimed his title with a 2:19:01 that surpassed Chris Zablock’s year-old world record of 2:21:48. 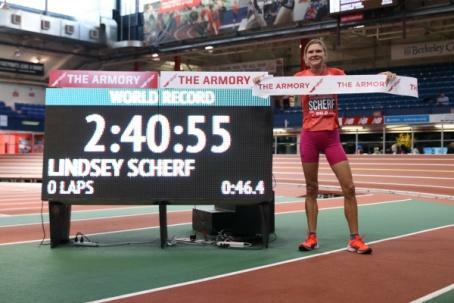 On the women’s side, Lindsey Scherf from nearby Scarsdale, NY and member of the Westchester Track Club set the women’s indoor world record with a time of 2:40:55. She broke the mark previously held by Finland’s Laura Manninen (2:42:30) set in 2017 at The Armory. Both Richards and Scherf each received $3,000 for winning plus a $4,000 world-record bonus. 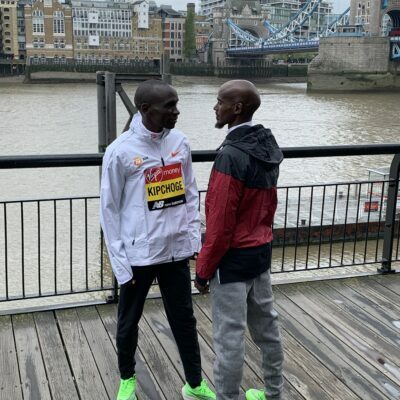 The 2019 World Record Challenge will take place on Saturday April 13. Entry for the individual World Record Challenge is $50 and all competitors must be approved by contacting [email protected]. 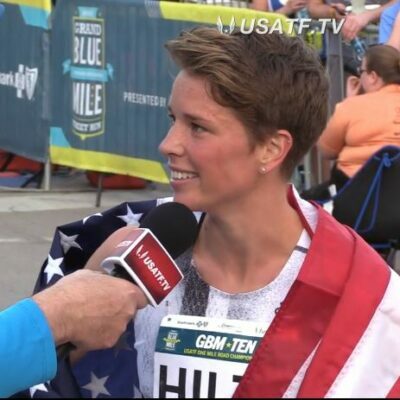 Top World Record Challenge prize money for both men’s and women’s winner will be $3,000 followed by $2,000 for the respective runner-up and $1,000 for third-place finisher. An additional $4,000 will be awarded for any winner who sets an individual world record and $1,000 bonus for anyone who runs under the previous record, but does not win. Last March, nearly 100 relay teams made up of corporate, club or family teams competed in the 211-lap team relay journey around the famed 200-meter Armory track. The Scarsdale Track Club topped all teams – relay squads comprised of up to eight runners – with a time of 2:22:43. Overall, 27 teams recorded times under the 3-hour mark. 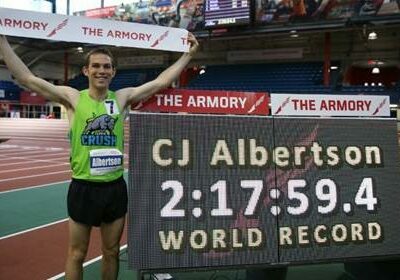 To register for the World Record Challenge and Team Relay please click on: 2019 Armory NYC Indoor Marathon. $100 per person includes race entry, event t-shirt, event gift & participation medal. $125 per person includes race entry, event t-shirt, event gift & participation medal. $150 per person includes race entry, event t-shirt, event gift & participation medal. Proceeds benefit the Armory Foundation and both Armory College Prep High School and Armory College Prep Middle School programs. For more information about the Armory NYC Indoor Marathon Presented by New York Road Runners please go to www.armoryindoormarathon.org. 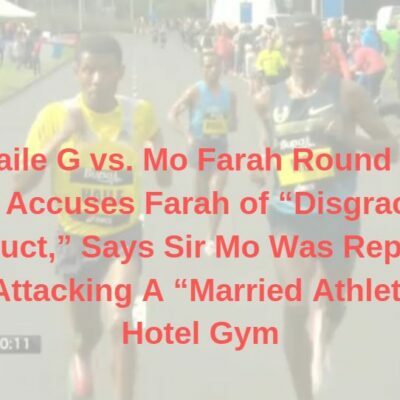 Follow The Armory on Facebook, Twitter and Instagram at @armorynyc, or go to ArmoryTrack.com or Armory.NYC. 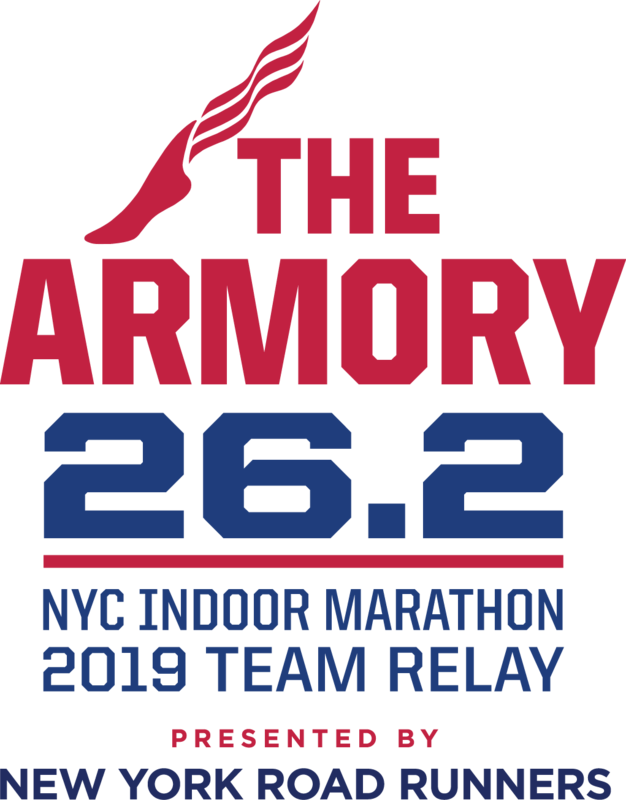 The Armory is a New York City non-profit institution, with the mission of “Keeping Kids on Track.” Each season The Armory — the proud home of the NYRR Millrose Games — hosts more than 100 track & field meets and welcomes more than 180,000 athlete visits. 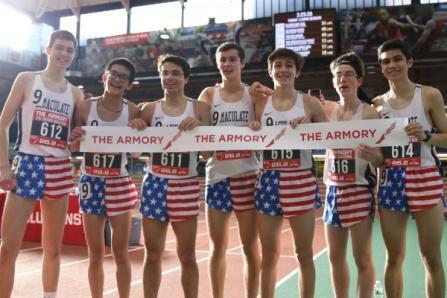 Among its many youth sports and educational programs, including the acclaimed Armory College Prep program, The Armory runs a major collegiate indoor track meet with the Dr. Sander Invitational, and hosts the largest high school indoor track meets with the Hispanic Games, the New Balance Games, and the New Balance Nationals Indoors. 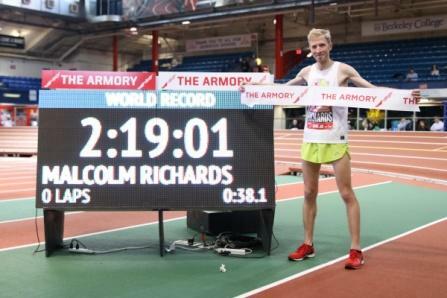 The Armory also runs The Armory NYC Indoor Marathon Presented by New York Road Runners, which is the world’s largest indoor marathon relay. The Armory is also the home to the National Track & Field Hall of Fame and dozens of very large education-focused events. For more: Please visit Armory.NYC and ArmoryTrack.com.